The world has been treated to all sorts of excuses about why the United States and its allies from the UK and elsewhere failed to win the ongoing war in Afghanistan. Now boffins have put forward the bizarre suggestion that one of the Yanks' most infamous defeats was actually caused by a phenomenon called space bubbles. 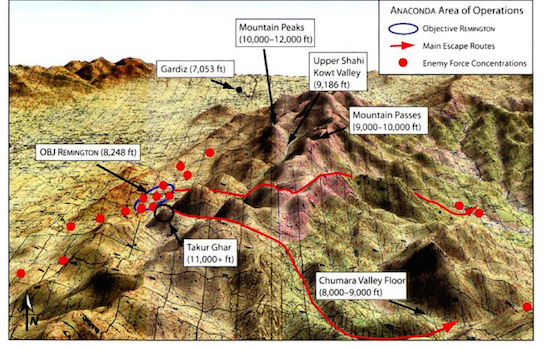 Lead researcher Michael Kelly, of the Johns Hopkins University Applied Physics Laboratory, was reading about Operation Anaconda, when the Taliban downed an American Chinook as it attempted to rescue a team of Navy SEALS. The helicopter did not receive a message from back at the base telling them not to attempt a landing on the peak of Takur Ghar, a snowcapped mountain overrun with jihadi forces. Having failed to hear this warning, the Chinook crash-landed and three Navy SEALS were killed in a firefight. Kelly and his team of researchers have claimed that "space bubbles" might have caused communications to fail. These giant plasma bubbles generally form in the upper atmosphere after nightfall. Stretching up 62 miles (100km) wide, they are thin clouds of electrically charged gas particles which can disperse, bend or redirect radio waves. 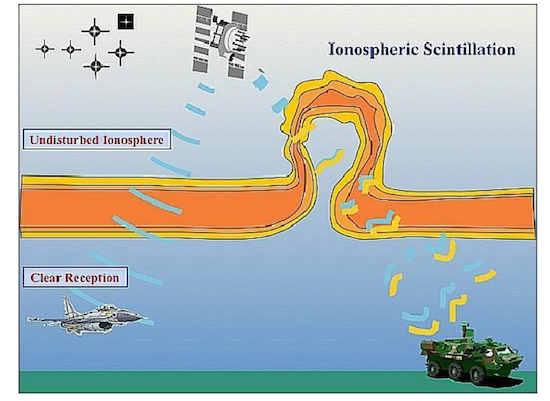 To test their theory, boffins examined data from the Global Ultraviolet Imager(GUVI) instrument which is aboard NASA's Thermosphere, Ionosphere, Mesosphere Energetics and Dynamics (TIMED) satellite, which is working to study the composition and dynamics of the upper atmosphere. "The TIMED spacecraft flew over the battle field at about the right time," said Kelly. His team showed that a huge plasma bubble sat between the Chinook and the communications satellite which was trying to send the urgent message. Combined with the mountainous terrain of the area, a communications blackout was inevitable. The helicopter was already "operating out on the edge," added Kelly, and even dropping a few decibels of radio signal "could have pushed them over the edge". The boffins hope their technique for spotting plasma bubbles will be used in future to predict any potential communications dropouts.